When you decide to work with the HKW Team, you are not just getting a wedding coordinator but you are also getting a friend and someone who cares just as much about your day as you do. Over the years, we have had the honor of being a part of many couples most special day. With that comes expertise, attention to detail, lots of ideas and the ability to anticipate things before they happen. We want to be sure we are helping in all of the ways in which you need so if there is something that is not listed below, please just ask. 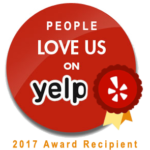 We are always here to help meet all of our couple’s needs! Holly and Amelia were absolutely amazing leading up to and on the day of our wedding. They are extremely organized, managed everything, and did a great job keeping to the timeline, which let us enjoy the wedding without worrying about anything. 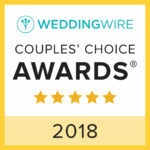 We highly suggest using their services for your wedding day, it makes a world of difference to have them in your corner on the big day when things can get crazy! Sorry this is long delayed (we just got back from our honeymoon), but I wanted to send my thanks to Robyn, who was absolutely amazing at our wedding! We didn’t have to worry about anything and she did a great job coordinating and setting up/breaking down. Everything went better than we could have imagined. Please send along our thanks to her. Thanks to you, our timeline worked perfectly and all the details were taken care of. We are so grateful to both of you and the assistants! Van and I just returned from our honeymoon and received your beautiful thank you card with the picture. We just want to thank you and Robyn both for being absolutely amazing!!!! There is no way our wedding would have gone so smoothly without you girls and we are so grateful Robyn was able to help us on our big day! We will absolutely refer your services to our family & friends. Thank you immensely. Holly was what wedding planning dreams are made of. When I was researching/interviewing wedding planners I knew with certainty she was the one I wanted to work with. She originally gave us one of her other girls but after a fate of luck she stepped up and said she would be our planner. She helped me organize our processional song minute by minute was great with ideas and suggestions and was 100% available to us from the minute we booked her. She made rehearsal run very smoothly and made us feel so much at ease. She stopped by to check on me and my husband (who was in a different room) during the getting ready phase and made sure everything was running on time and as planned. My husband and I both agree that we felt like we had no worries on the day of the wedding as she had everything handled, she even made sure we both had drinks in hand, which really helped! She was right on time for rehearsal and our wedding day and stayed until the very end, packed up our things, and texted us with where everything was. She was in constant contact and we could not be more thankful. Our wedding was flawless and we truly have her to thank! Thank you Holly!! Holly is seriously an awesome coordinator a bride can ask for. She is professional and confident in what she’s doing! . She is very organized, diligent, detailed, and genuinely so nice. 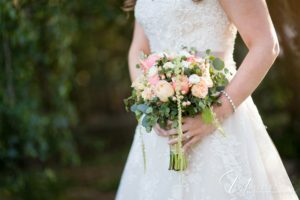 I was even more impressed by her on the wedding day because her communication and detailed itinerary helped the wedding go by stress free and smoothly! I highly recommend Holly Kalkin in coordinating your wedding with no worries!! You are a true team player! Holly is like a fairy godmother of the bridal community. She was a very responsive and very organized. When the groomsmen are impressed by the wedding coordinator….you know you have a good one. I also had a last minute mental break down right it front of her. She was compassionate, helped me pull it together, and took all the stress off my shoulders. Honestly, the best money I spent out of the whole wedding. You will not regret it! Holly Kalkin is hands down the best wedding coordinator ever. Not only was my husband and I so impressed, all of our guests came up to us letting us know how wonderful Holly has been. From start to finish; no problems. My husband and I could not have asked for a more perfect wedding, not one issue came up. Holly was easy to contact, easy to communicate with and she completely did far more than we ever expected. Our wedding day went so perfect and so smooth all because of Holly. Thank you again Holly, you are truly an amazing wedding coordinator. I highly recommend, you will not be disappointed! Holly made our wedding so easy and and wonderful! I did not have to worry about anything – which is saying a lot because I am a worrier! She has to be one of the kindest and thoughtful wedding planners out there. We hired her for day of coordinating, but she was available throughout the planning if I had any questions and was able to wrangle my big, crazy family perfectly during the rehearsal, wedding, and reception. Something I also noticed, is anytime I mentioned that she was my coordinator to other vendors, they all would say the same thing, “Oh great! Holly is awesome – everything will be taken care of”, and they were not wrong. This says a lot. Not only does she work well with the bridal party, but she is also highly respected and works well within the wedding industry in San Diego. Do not hesitate to hire her! We hired Holly to act as a day of coordinator for our wedding and she greatly exceeded our hopes ad expectations! Holly ensured that all vendors were coordinated, knew when to arrive and adhered to the schedule to keep our wedding perfectly on track. She reduced our stress levels tremendously and allowed us to focus on enjoying our wedding day rather than orchestrating everything ourselves. Holly worked seamlessly behind the scenes but was always there when we needed her. At end of the night she helped us collect our gifts and possessions before we left the venue. During the wedding planning phase she responded to emails very promptly and provided advice on vendors if we needed a recommendation. Additionally, the wedding rehearsal is included in her very fair fee. 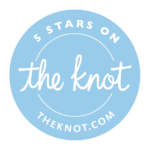 I recommend Holly Kalkin enthusiastically and without reservation to anyone who is looking for a day of coordinator and also to those who don’t yet realize how much they would benefit from having a knowledgeable and experienced professional to coordinate their wedding day. Getting married can be extremely stressful! Holly Kalkin and her assistant were amazing coordinators! I truly don’t think I would have enjoyed my wedding day if I didn’t have them there to handle all of the details. They are organized, kind, helpful, professional, and efficient. Many of the guest complimented us on how smooth and timely everything was. They pay attention to every little detail. They go above and beyond to make sure that your day is perfect. I can’t say enough good things about Holly! Hire her for you day! You will be so happy that you did!! She is fantastic. I’ll be recommending her to everyone I know! Holly was our wedding coordinator for our recent La Jolla wedding. From day one Holly was organized, flexible, and thoughtful. Since we are based in the Bay Area, it was very important to find a wedding coordinator that was very communicative and accessible. We were so glad we found Holly because she is easy to work with. Holly was helpful in working with us to figure out the ceremony and overall event flow. Holly led the wedding rehearsal and made everything feel easy! We handed off a bunch of items (place cards, photo frames, decor, etc.) that we wanted set up for the wedding and by the time we showed up, Holly had set up everything exactly as we had imagined. The wedding itself went off without any problems, or if there were any problems, we didn’t know about them because Holly took care of them. I can honestly say that our wedding would not have been what it was without Holly. I have only been told of a handful of things that she had to handle the day of, but I’m sure there are many more that I will never know about. And that is how you know that you picked the right coordinator. Holly made sure that our wedding day ran smoothly from start to finish and that we were left completely unaware of whatever hiccups came along. Even though her services are for day-of coordination, she really takes the time to get to know her couples, which is invaluable. She even offered a few very helpful suggestions that made our day that much more special. Thank you so much, Holly! First thing to note is that Holly was definitely the BEST investment we made throughout our entire wedding planning process. When we hired her as a day of coordinator, we knew she would be helpful on our day, but we had no idea just how amazing she was until the weeks leading up to our wedding. We seriously cannot say enough about her. She is organized, efficient, task and detail oriented, and so incredibly sweet. There are so many details we didn’t think about during our initial planning and we dont know how we would have made it through the final week without her. 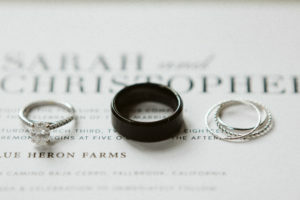 She sent out a comprehensive, detailed itinerary out to all our vendors a week ahead of the wedding and from that moment on she was the primary point of contact going forward. This was huge for my husband and I as we were busy the entire week visiting with family and friends and had ZERO time to stay directly connected with our vendors. Holly allowed us to ENJOY our day. I can also say that our day remained ON schedule and I worried about NOTHING the entire time. Both my mother and myself are A-type and natural worriers — once we met with holly the first time, we knew we had nothing to worry about. 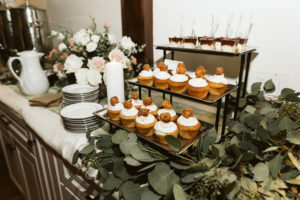 She even went as far as to help up bring back equipment so that we wouldn’t get charged and added the sweetest little details to our sweetheart table bringing our overall vision to life. If we had to do it all again, there is no amount we wouldn’t spend to have Holly as our right hand gal throughout the process. We highly recommend her loyal and dedicated services.